In iOS, is there a way to select a poster frame to use as the thumbnail of a video in your camera roll? 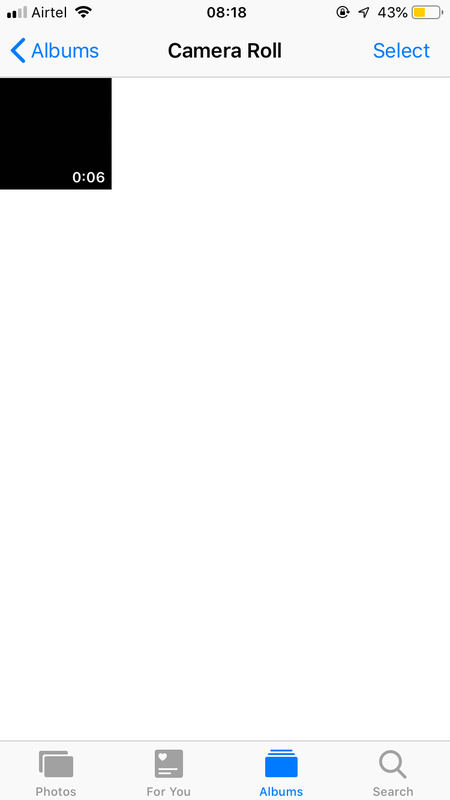 For example, many of my videos fade up from black. Because of this, the thumbnails are black and it's difficult to distinguish between videos. It also looks bad if a business is presenting videos to potential clients on an iPad. 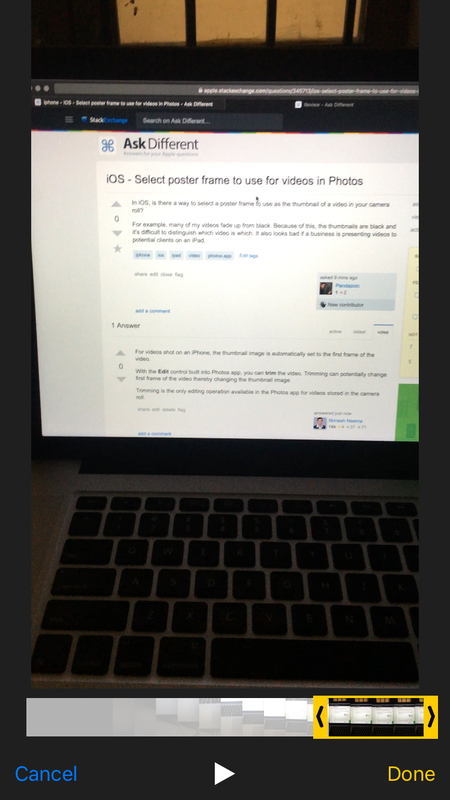 In Photos app on iPhone/iPad, the thumbnail image is automatically set to the first frame of the video. With the Edit control built into Photos app, you can trim the video. Trimming can potentially change first frame of the video thereby changing the thumbnail image. 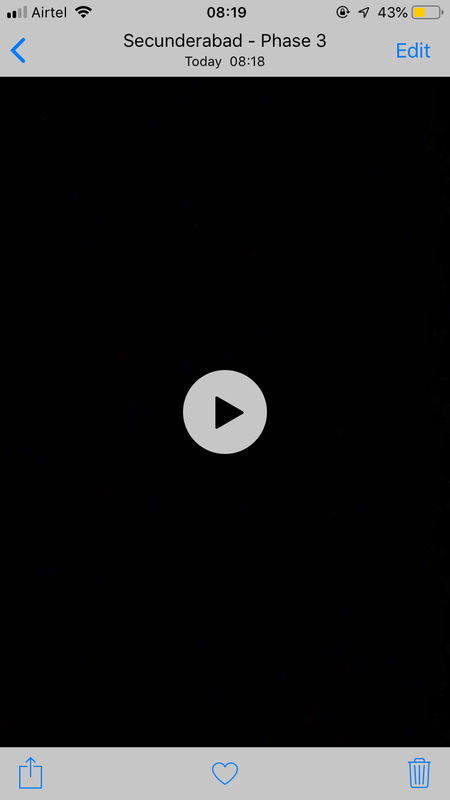 To edit a video, tap on the video thumbnail. This will present the video in larger view. Tap on the Edit button shown towards the top right of the screen. Now drag the left facing pointer shown towards left corner of the screen to select the initial frame of the video. You can also trim parts of the video from the end. The frame shown after adjusting the start and end points will become the frame for the thumbnail. Tap on the Done button once you are done. You can overwrite the original video or save the trimmed video separately. 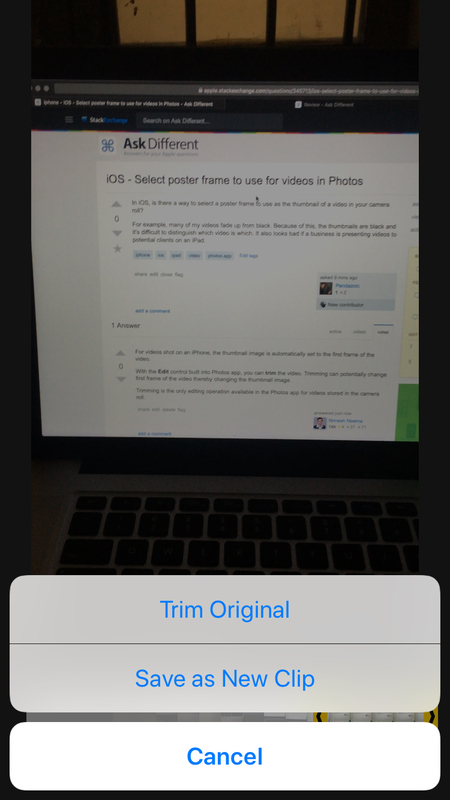 Trimming is the only editing operation available in the Photos app for videos stored in the camera roll. 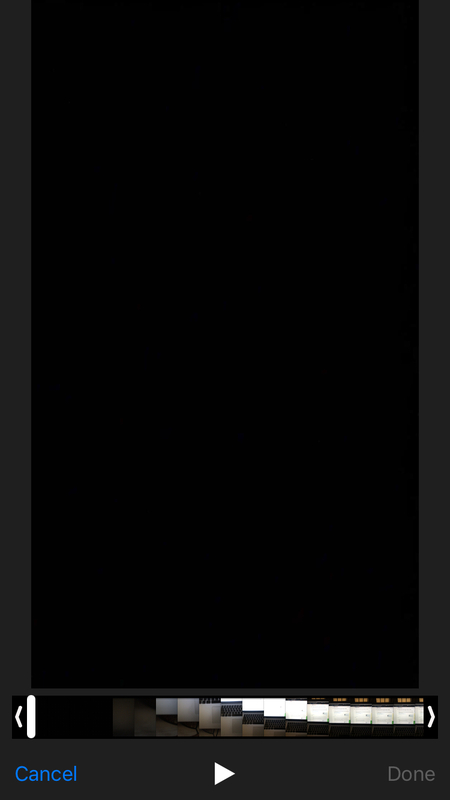 For your case, where all videos start out from black, you can trim the video to removing the initial black frame. This will help in easily distinguishing between them and the videos will also look presentable. 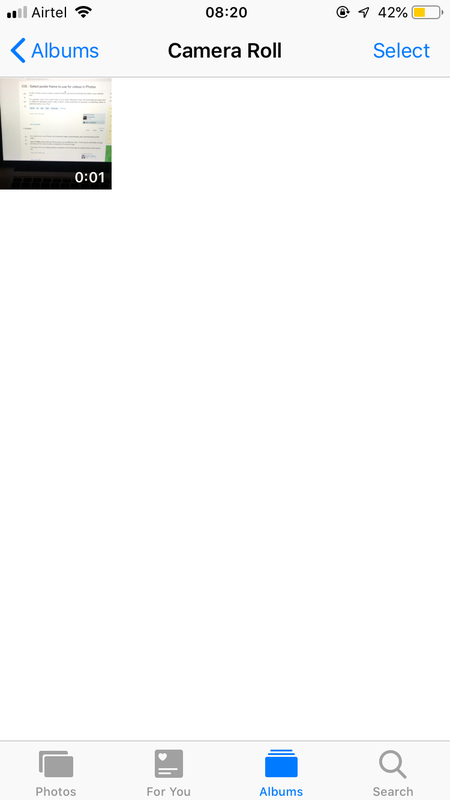 The video thumbnails can't display a custom poster frame in Photos app which is not a part of the video. Not the answer you're looking for? Browse other questions tagged ios video photos.app . Capturing video on iOS device? How do I reset link between iPhone and iTunes on a Mac? Is it possible to watch a video frame by frame on the iPhone? What is the exclamation mark in the bottom right corner for in Photos for iOS? What are the FPS of the FaceTime Camera for the iPhone 6S vs 7+ vs X vs iPad Pro?